=> this advertisement is my sole way to get a copy of this new book. 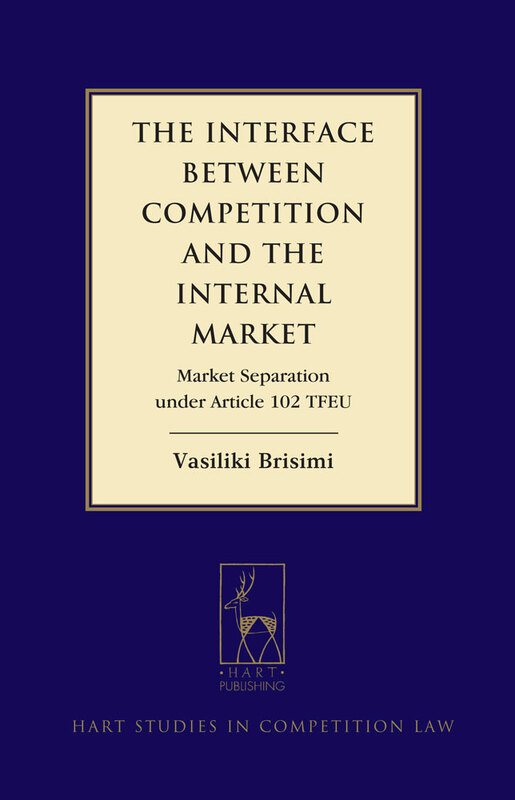 This book explores the interface between competition law and market integration in the application of Article 102 of the Treaty on the Functioning of the European Union (TFEU), focusing on the notion of market separation namely conduct that may hinder cross-border trade. The discussion reviews, among other things, the treatment of geographic price discrimination and exclusionary abuse, by which out-of-state competitors are affected. Market separation cases are treated in the book as a case study for appraising the interface between competition and the Internal Market. On this basis, the book provides a comparative analysis of the Treaty requirements under Article 102 TFEU when applied in market separation cases and the Treaty requirements under the free movement provisions. In addition, it utilises market separation cases as a springboard for advancing an informed reformulation of the application of Article 102 TFEU when state action comes into play. All in all, the analysis presented in the book deconstructs the elements for establishing market separation as an abuse of the dominant position. It shows that there is nothing that would justify a distinctive treatment of market separation under Article 102 TFEU, other than a principled understanding of Internal Market law as a whole: whatever understanding one reaches about the proper shape of the Internal Market, interrogation of the proper application of competition law comes after that and thus should be informed by this understanding.